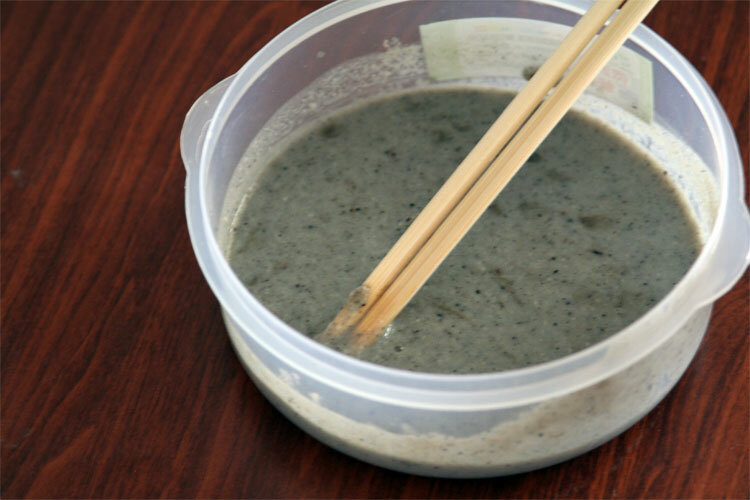 When feeling like street food is too greasy in the AM - this comes out of a small plastic bag - walnut and sesame paste. Wholesome and hearty. It tastes like cardboard with some sesame oil on it.